Another trip down to Jersey! 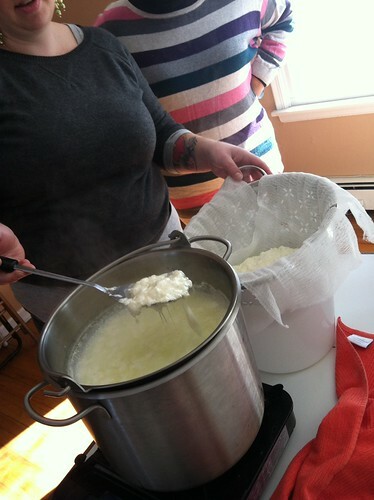 This time, Liz and I attended a wonderful cheese making class at the Cherry Grove Farm in Lawrenceville, NJ. It was a tiny class. We made Ricotta by simply adding lemon juice to some hot milk. 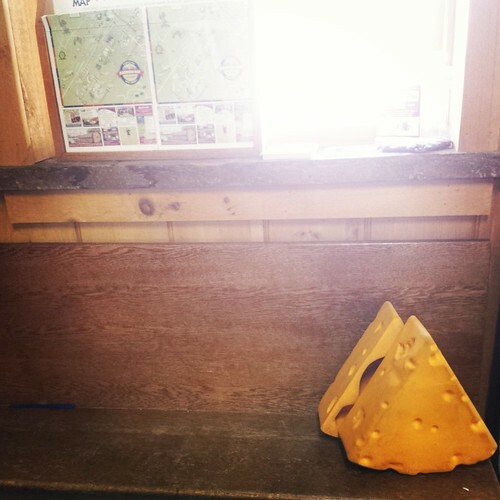 It was strained and we sampled. 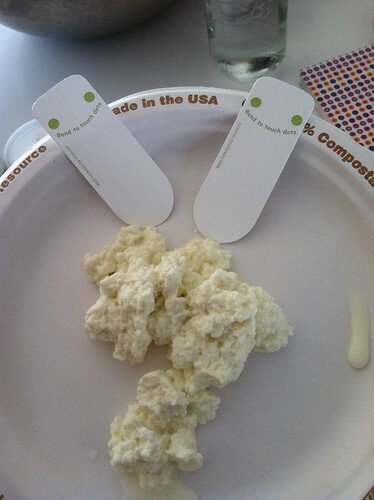 I will never buy Ricotta again. 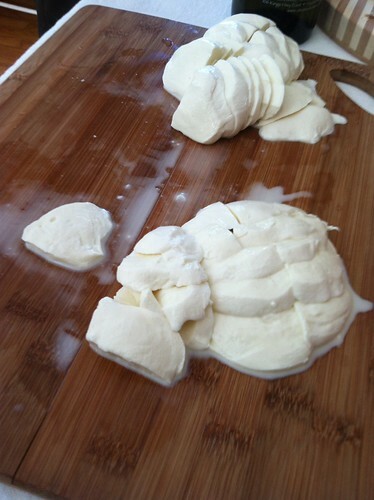 Next we made mozzarella from some curds, but adding hot water and using our gloved hands to form mozzarella balls. That’s how they do it! After the class, I was excited to give Ricotta another try. I had tried before, but it didn’t really work out as well. Plus, this method seemed so much easier. Generally, one should look to use a high fat content, lightly pasteurized milk if raw milk is not available. 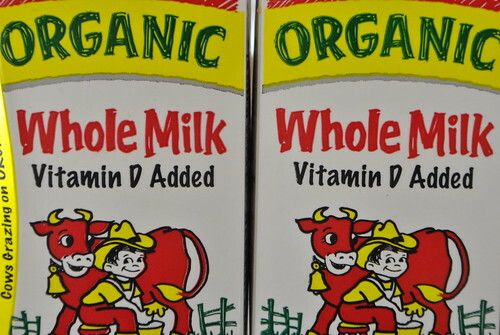 I went to Stew Leonard’s and grabbed Organic milk, which was highly pasteurized. The steps are super simple. 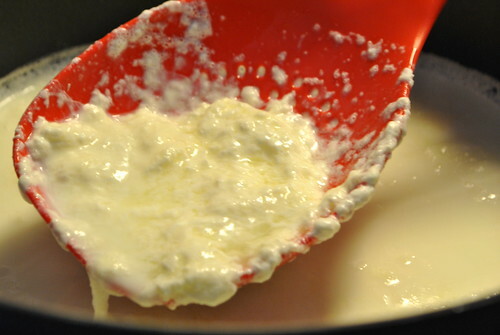 Bring a gallon of milk up to barely a simmer, or about 180 degF. I did this over direct heat, but you can do it in a double boiler to make sure you don’t burn the milk if you walk away. It just takes longer. 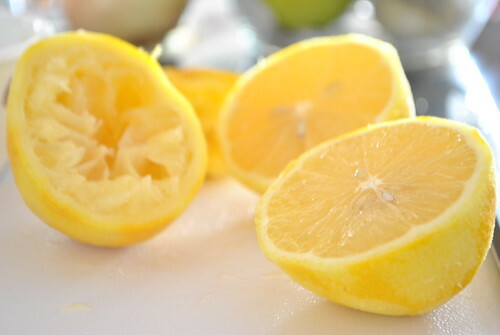 Once it comes to just a simmer, I added about 3 tablespoons of lemon juice and looked for it to clump. It took a lot more than 3 tablespoons for mine to start clumping. Once it started clumping, I left it alone for 15 minutes before I started straining. 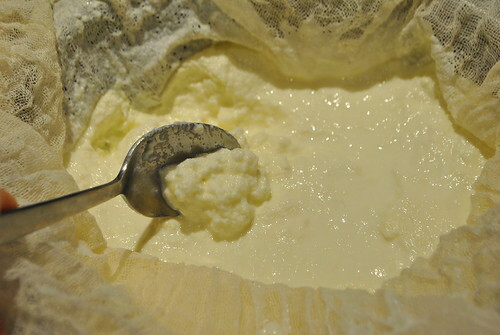 I used some cheesecloth draped over a fine mesh strainer and first scooped out as much of the clumps as possible with my strainer ladle then slowly, in batches, poured the whey through to strain out all the clumps. This took forever. Once I poured out all the whey, I set the cheesecloth lined strainer on top of a bowl and put it all in the fridge overnight. 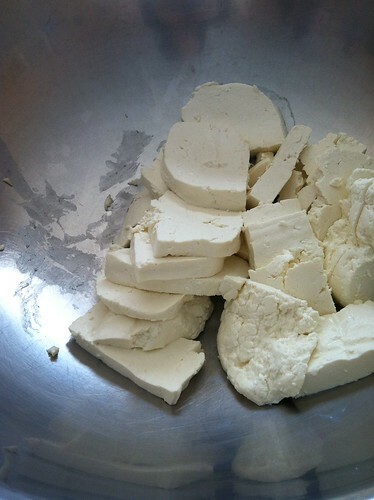 Now, what to do with said Ricotta? 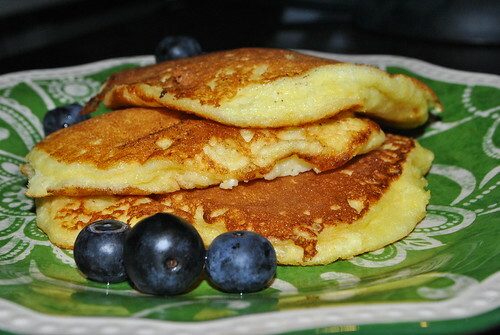 How about some Lemon Ricotta pancakes? I followed this recipe from thekitchn.com and they came out beautifully. They were light and airy with just a hint of lemon. 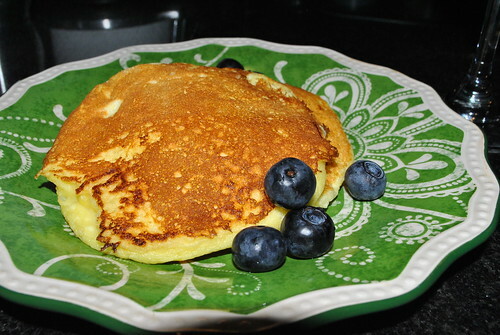 The ricotta kept them very moist. They were pretty delicious. I had them for dinner, with a glass of white wine, like the classy lady that I am. 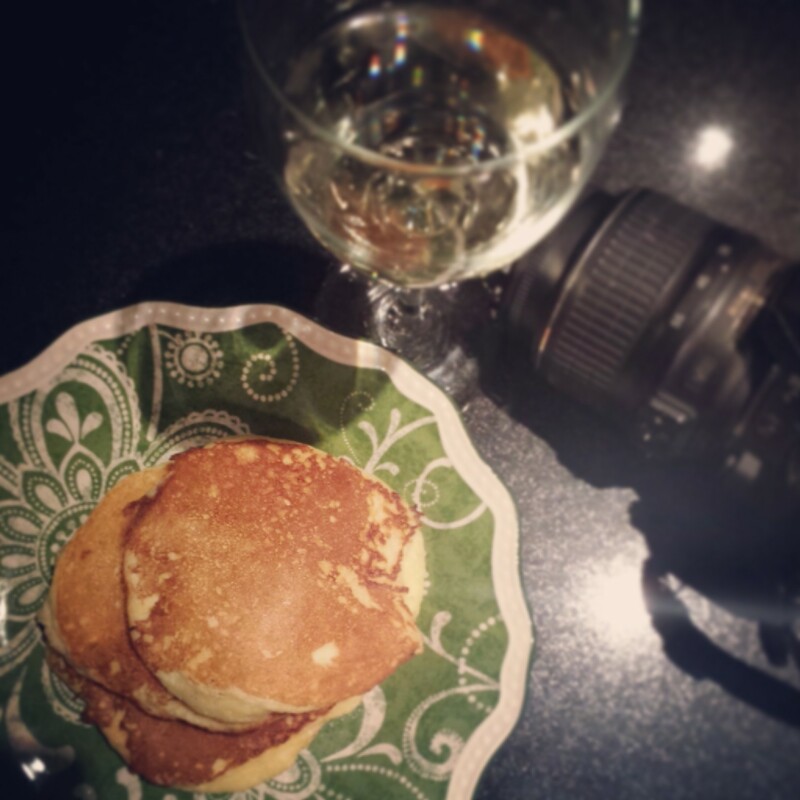 This entry was posted in Breakfast, cheese, Uncategorized, Weekend Adventure and tagged Cherry Grove Farm, Lawrenceville, Lemon Ricotta Pancakes, Mozzarella, New Jersey, Ricotta. Bookmark the permalink.